AFTER years of litigation in which the Truth & Reconciliation Commission Report was rubbished by a corrupt judge acting on behalf of the Labour Court of South Africa, I am slowly being vindicated regarding my assertion of the connection between Verwoerd’s apartheid and the Nazi science of eugenics. This is not because there is ample evidence in the Truth & Reconciliation Final Report, but rather because this taboo subject is now being discussed openly in the Afrikaner press, who until now, have managed to squash any debate in the public sphere which conceivably might lead to an acknowledgement of guilt and an apology to South Africans. Here is the original article by prof Russel Botman regarding the connection between Nazism and Apartheid. 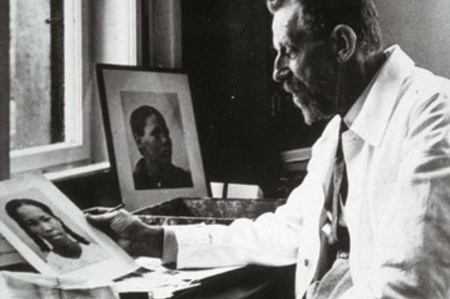 The Nazi “Fischer Tools” were used for race classification purposes under apartheid .http://www.rapport.co.za/Weekliks/Nuus/Die-Nazis-le-agter-maar-wat-le-voor-20130426. Good report by Dan Newling of Times Higher Education providing greater depth to the story and the backlash in the Afrikaner press. But even as Robins, Walters and colleagues set out on their journey of discovery, they have already experienced a backlash in South Africa’s Afrikaans-language media.